Getting to the Core of the problem. Thank you all for stopping by to my page for another article. Today we’re going to talk about the elephant in the room currently with Magic: the Gathering. No we’re not going to talk about this card (reprinted in Modern Masters 2017), we’re going to talk about the decision to remove Core sets from the game. In my last article I mentioned “Metamorphosis” written by Mark Rosewater over 2 years ago. In that article it was stated that the game would move from having 3-set blocks to 2-set blocks, and a removal of the Core sets all together. The reasons for this are many however one of the issues that was mentioned was that the Core set was trying to identify with both new players and veteran players. The sets used to be labeled “Advanced” meaning this was to be between someone who is just starting out (“Starter”), and someone ready to crack open a pack from an expansion set (“Expert”). I can see where this can be confusing for new players if there wasn’t a clear label on product indicating where they should start, however the removal of Core sets has actually hurt the experienced players in a way we probably did not foresee. In order to gain the scope of this let’s look at Magic’s release history. In the beginning all there was to offer was booster packs from 1st edition (Alpha & Beta), & 2nd edition (Ulimited). By the time 3rd edition (Revised) came along Magic had already released two expansions (Arabian Nights & Antiquities), and was about to release a third expansion (Legends). Even with these expansions they built upon the primary sets allowing players to increase the possibilities of deck building. The first few years went by with seemingly unlimited access to sets until we hit our first stand alone block in Ice Age (released in June of 1995). It was the only expansion set to never have a pre-release, and set the ground work of what we would expect for years to come. Each expansion began a chapter in the story of Magic, followed by two more expansions to add on to that chapter. Often times the first set released of a (what became known as) 3-block expansion was the larger of the 3 sets allowing for players, new and old alike, to be able to obtain the basic lands with the new cards in Starter decks. On top of the Core sets, released initially every other Spring starting in 1995 until moving to every other summer with 8th edition in 2003, Magic players were able to build a rather large pool of cards before the new fall expansion arrived causing a shift in what would be allowed for play in Standard. During these years the Core sets were only reprints of cards introduced in previous sets and expansions. This both allowed newer players to obtain the card for the first time when the card was reprinted, and introduce a card back into Standard that may have already left years ago. This formula was kept when the Core sets started to add new cards as of Magic 2010, and at that point the sets were released yearly. Even adding in the new card type Planeswalker (introduced in the Lorwyn expansion, and continued to this day) did not seem to cause any ripples as there were cards that kept them in check with many of those being in the Core sets. Yes in the early days these Planeswalkers were viewed as repeatable sorceries rather than the actual win conditions they are now, but let’s take a look at a few cards that were in the Core sets in those early years that kept things in balance. As you can see with the exception of Green there has been a card in each color that can help deal with problem permanents, be they creatures, lands, Planeswalkers, or anything, that have appeared in Core sets over the last 8 years. Unfortunately the only one that has survived has been Negate as that still sees print in the current 2-block & No Core set Standard that we live in. It’s not my fault this time. This hero has no downfall. Naturalize is not legal in Standard? Sweet. These are just a few examples, and while having all of these cards may not be necessary in Standard (heck I would even take Lightning Strike over Lightning Bolt if needed) just a few of them would go a long way to making the game better as a whole. To be honest when I was playing Standard with a brew focused on Nahiri, the Harbinger I would have stayed with it if we had card like Duress and Lightning Strike. When you realize that the Standard environment needs more quality at the common rarity level then something is out of balance. So we have talked a lot about the history of the Core sets, and some of the key cards that possibly seemed evergreen at one point. How can we add the Core set back? *Not counting Duel Decks, Commander sets, or other non-booster pack releases. Wizards of the Coast is obviously cranking out Magic product at a much more frequent rate than they have in years past. A lot of that is of course due to their success which is well deserved, but some things should have been left either unchanged or altered in a way to keep the balance we need in the game, and allow for ways to introduce new cards (or bring cards back not in Standard). Push the Fall expansion back to the first week of October. 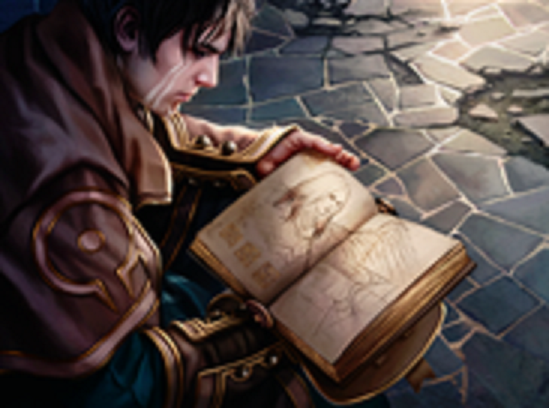 Release a new Core set every other August (first week of August), rotating with either a casual set such as Conspiracy or a Masters set release. Promote this set for new players primarily, but have answers for cards we are facing currently in Standard as well as cards we will soon face. Use the Core sets as an opportunity to add cards to the Modern format that are currently not a part of it. Make sure each color has an answer at a similar mana cost. The R&D Team is far enough in the future (about 2 years if memory serves me correctly) where I feel they can develop a Core set this way. It would be legal until the next Core set is released (exactly how it was in the early years), and we could call it “Magic Classics”, unless you can come up with a better name. Now let me elaborate on the last point above first. In a Core set we could have a cycle of 1 mana cost answers (Lightning Bolt, Duress, etc) in each color, or a cycle of 2 mana cost answers (Naturalize, Lightning Strike, etc) in each color. This could open up design space for a 2 mana discard spell in black which would wind up being a new card (or put Stifle in the 1 mana cycle). Pushing the Fall expansion to the first weekend in October allows (nearly) 8 weeks of drafting the Core set, and time to develop a strategy going into the next wave of expansions. With a focus on newer players they could eventually take The Gatewatch and move them to the Core sets (and make Planeswalker starter decks for them), which would allow for other characters of Magic’s Lore to take the center stage in gameplay when the expansions release. Until Felidar Guardian came along Saheeli Rai (who was the face of Kaladesh by the way) was pretty much forgotten about. There have also been other casualties of the “I’m not in The Gatewatch so I’m ignored” problem. Remember me? No? You don’t remember me!? While I know not every card can or should be powerful taking the time to design a card that is probably used as a coaster by some seems like an awful fate. A lot of work goes into creating this game, and with how things seem to be easily solved (or…copied?) under this 2-set block it seems that the percentage of cards that see tournament play is getting smaller each year. One other thing I would like WotC to do with each set release is to provide an article focusing on each of the 4 major archetypes within the game (at least in Standard). Have each of these focus on it’s primary color (or color combinations) from Magic’s past too. For instance Aggro could be White or Red & White, where Control would be based in Blue (Blue & White or Blue & Black). The articles, written by the folks who currently write for WotC, would provide shells of these archetypes for us to explore. Each one would be more powerful than the other through the release of sets, but when new cards come out things would shift to put one of the other archetypes on top. Right now Magic is in a stagnant place where Midrange seems to rule overall (some have Aggro elements, others have Combo, and others even have some small resemblance of Control), but a lot of the decks feel and appear the same way. I understand that newer players will have “feel bad” moments when their one Planeswalker dies to an instant speed spell, or can’t be used due to a permanent that is locking it down, however the more the expansion sets cater to this style of play the further this game leans towards being a “Starter” level of play with no “Expert” level of play to accompany it. The changes I have suggested here could benefit Magic at both the FNM level, and at larger tournament events. If things continue to be this stale attendance could decline causing many to make changes to the tournament landscape, and that affects all of us equally.